JACKSON, Miss. -- Mississippi's governor has signed the nation's tightest abortion restrictions into law Monday -- and was slapped with a lawsuit less than an hour later. The law and responding challenge set up a confrontation sought by abortion opponents, who are hoping federal courts will ultimately prohibit abortions before a fetus is viable. Current federal law does not. Republican Gov. Phil Bryant signed House Bill 1510, which bans most abortions after 15 weeks of gestation, on Monday in a closed ceremony attended by legislative supporters and abortion opponents. "We are saving more of the unborn than any state in America and what better thing can we do?" Bryant said in a video his office posted on social media. "Politicians are not above the rule of law, and we are confident this dangerous bill will be struck down like every similar attempt before it," said Nancy Northup, president and CEO of the New York-based Center for Reproductive Rights. 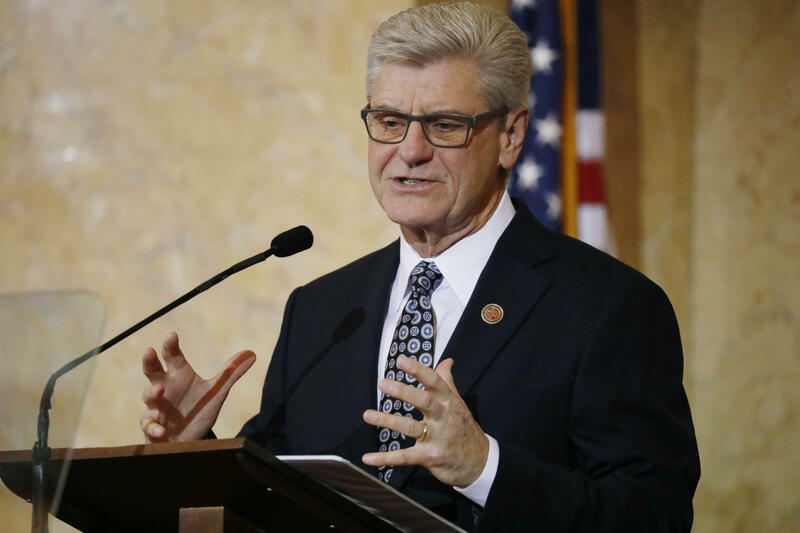 House Speaker Philip Gunn, who was present for Bryant's private signing ceremony, told The Associated Press he is proud Mississippi is taking steps to protect "the most vulnerable of human life:" the unborn. Lt. Gov. Tate Reeves said in an email to the AP that HB 1510 is a major step toward accomplishing the state's goal to protect the lives of the unborn, adding that he is committed to making the state "the safest place in America for an unborn child." "We're thrilled that Mississippi lawmakers are taking a step to protect the basic right to life, as well as protecting maternal health," said Jameson Taylor, acting president of the Mississippi Center for Public Policy.